Depending on your budget and your specific needs, we can host your website on our low cost shared hosting or on our high speed VPS servers that are designed for handling even the heaviest web traffic. We can manage all your hosting needs internally, or if you choose we can even provide you with your own cPanel so you can add as many email accounts as you wish, set up your own FTP accounts, track your traffic through Awstats, or even add and manage databases that tie to your account. 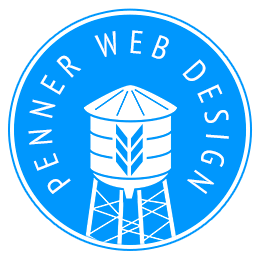 Penner Web Design has moved to A2 Hosting. I am VERY happy with their speed and their customer service is amazing. It uses light speed servers (SSD drives). If you want your own shared hosting account, I highly recommend you check them out. If you're interested starting your own hosting plan, I used to strongly recommend Hostmonster, however, honestly, things seem to have been going downhill for them for the last few months. They are reasonably priced, I've had really good customer service with them, and their speeds are great! Plus, if you want to upgrade to a VPS, they have that has well. I've also had good luck with Bluehost and Site Ground. Whether you're in the Triangle area, or not, let's meet up or talk over the phone about how we can bring your vision to fruition.